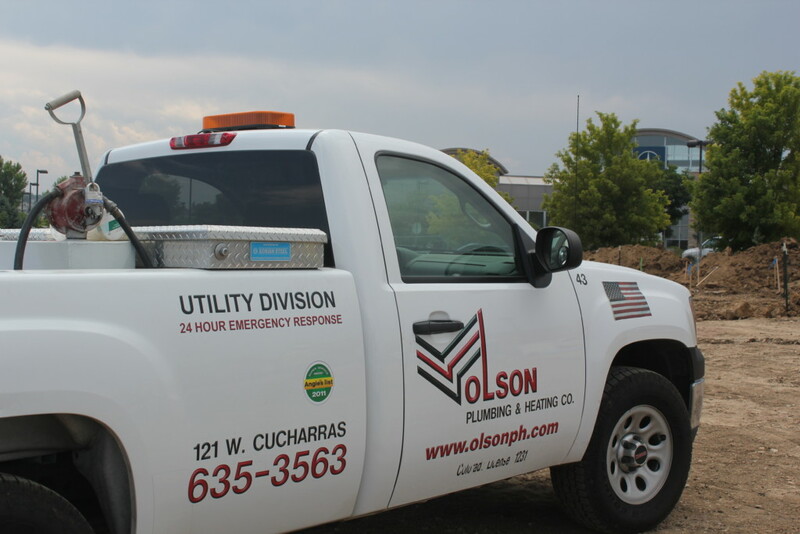 Olson Plumbing & Heating Co. continues to provide expert services and sewer line repair in Colorado Springs, Pueblo, and the Front Range. We are your fast, reliable source for sewer line replacement, or mains breaks, repairs, drain cleanings, clean-outs and much more. Our professional technicians are licensed, bonded and insured. We are on-call for Emergency Dispatch 24 hours a day/7 days a week… 365 days a year, holidays included. Olson Plumbing and Heating Co. is the residential plumbing company that local homeowners trust with drain cleanings and sewer line repair in Colorado Springs. This is dirty, complex work that should only be entrusted to technicians with the highest levels of experience and training. Our team is comprised of professionals with the knowledge needed to do the job right the first time. Why dig up your landscape? Olson Plumbing & Heating is one of the region’s first fully certified Perma-Liner installers. Perma-Liner is a Cured-In-Place-Pipe (CIPP) system aimed specifically at the municipal / residential / commercial market and is a “trenchless” pipe repairing technique for complete or sectional lining of sewer mains, without having to completely dig up your residential yard, driveway or landscaping. If you live in an area of town that is prone to root intrusion and you experience continual sewer line blockages or slowdowns, Perma-Liner is the solution for you. We have completed hundreds of Perma-Liner installs and our experts would be happy to assist you in helping you make the correct choice for your sewer line needs. Get more information on Perma-Liner solutions . We are dedicated to offering the fastest, most dependable and cost-efficient services and sewer line repair in Colorado Springs, Pueblo, and the Front Range. To maximize efficiency and accuracy, we utilize the latest video technology to diagnose and solve a problem. You can relax knowing that our plumbers are equipped with everything they need to solve a problem with minimal hassle. Our expert technicians can handle tree roots, pipe settlement, soil issues, and much more. There are solutions for any sewer or drain issue that may be threatening your home. You can only find those solutions by calling the experts at Olson Plumbing and Heating Co. for routine maintenance, emergency repairs, and everything in between. Contact us at (719) 635-3563 today to schedule an appointment or to learn more about our residential services and sewer line repair in Colorado Springs. If the situation requires immediate attention, we are on-call for Emergency Dispatch 24 hours a day / 7 days a week…Holidays included.